The graded readers series of original fiction, adapted fiction and factbooks especially written for teenagers. Alice is an Agony Aunt on her school website. Students write to her with their problems and she answers them. 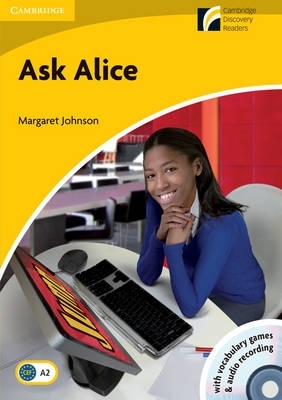 But how can Alice give advice when she's got so many problems of her own? The book comes with a CD-ROM/Audio CD with vocabulary games and complete text recordings.